Look no further you are home! Come and see what this stunning home has to offer. The Elliot floor plan has a very unique design with 6 bedrooms with 4 full baths and is 4425 sq. Ft. of massive living. 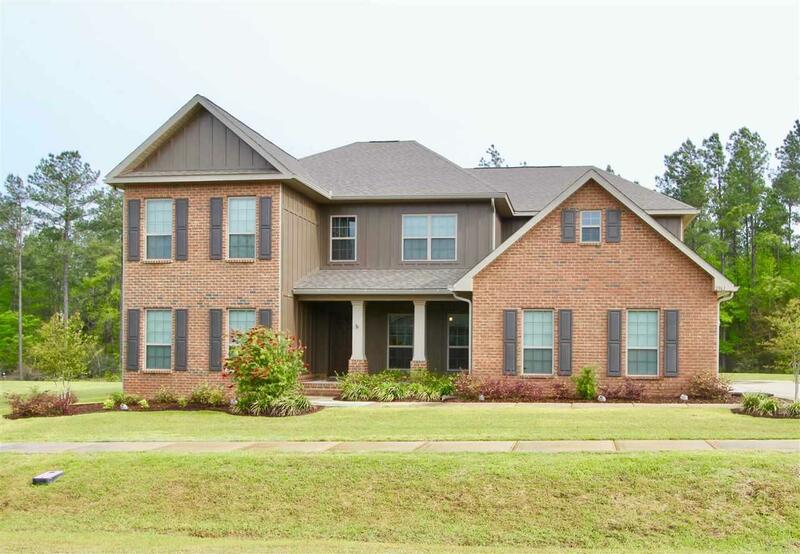 This home is located in the desired Ashley Plantation community and backs up to woods for privacy. As you walk through the door you have a very spacious open formal dining area for many family gatherings to come. Across the hall is office/bedroom and a full bath with a marvelous completely tiled shower. As you make your way down the hallway it opens up to a gorgeous Great room with high ceilings and an abundance of natural lighting. The open concept flows into the kitchen with a huge over sized island with granite counter tops throughout. The remarkable back splash gives the kitchen a lot of style. There is an endless amount of storage space with cabinets galore. If you have been dreaming of having a mudroom your dreams have come true because this home has one. The view from the mezzanine will be an overwhelming of excitement because of all the elegance. A gorgeous large Master Suite on the lower level along with a bedroom/study, each with their own full bath. As you make your way up the stairs you will notice they spared no expense on the rod iron detailed railing. Make your way into the enormous game room/bonus room for lots of fun and entertaining. This room can be used for numerous things, a craft room, man cave, kids play room, movie room, the possibilities are endless. You will also notice four other bedrooms and two full baths that are on the second level. There is also a Jack and Jill bathroom with two sinks that allows kids, guest or family staying over to have their own sink. If you like to grill or just relax, the covered patio out back allows you to enjoy nature with friends and family. You must see this exquisite home in person to really appreciate it. There is also a Home Warranty offered with this home. Call me today to schedule a showing.